Youth, young adults, and families are central to the design, implementation, and operation of services and support at the state and local level. Youth, young adults and family supports and/or organizations support individual youth and families and participate fully in policy and funding decisions. All child and young adult serving system partners collaborate, share resources, and coordinate with one another and with youth and families. There is support the collaboration and sharing of resources and ideas among a variety of grants through the State Leadership and Management Team and the Grant Directors Community of Practice. 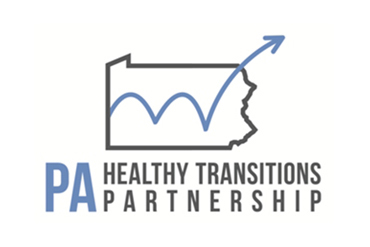 The Projects for Assistance in Transition from Homelessness’ (PATH) goal is to reduce or eliminate homelessness for individuals with serious mental illnesses, or serious mental illness and substance use disorders, who also are experiencing homelessness or are at imminent risk of becoming homeless. 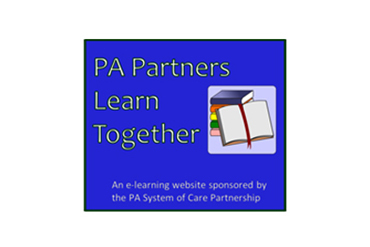 The Pennsylvania Stepped-Care Approach to Clinical High Risk for Psychosis (PASC-CHR-P) provides community outreach, identify young people in Philadelphia (PHL) and Pittsburgh (PIT) who meet CHR criteria, and enroll them in a stepped care model of graded intensity levels of family and individual psychoeducation and therapy, substance use counseling, supported education and employment, peer support, and medication management, if necessary. The State Leadership and Management Team is comprised of youth/young adults, families, and system partners. These partners consist of youth/young adults, ages 16-28, with behavioral health issues that are or have been involved with child welfare, juvenile justice, drug/alcohol, delinquent and dependent courts, and/or education systems. Family partners who are or have raised a child or children with behavioral health issues that have also been involved with child welfare, juvenile justice and /or education system. The remaining partners consist of system leaders from behavioral health, child welfare, juvenile justice, drug & alcohol, education, juvenile courts, county administration, and early childhood. Our goal is to assure that the State Leadership and Management Team reflects the diversity of Pennsylvania. We are seeking members of different ages, gender, ethnicity, socioeconomic background and geographic location among other qualifications. It is important that we select members who represent the diversity of Pennsylvania as well as those who have a significant and extensive understanding of the behavioral health system, the educational system, drug/alcohol system, the child welfare system and/or juvenile justice system. Interested in applying to join the State Leadership & Management Team? Please request more information using the Contact Us form and download the application.